Technically shambolic, obsessed with hoarding, and a waste of a once-promising society simulation. A solid survival game vastly improved by putting the focus on people, not zombies. The State Of Decay concept still holds plenty of promise but this sequel is so broken that laughing at its bugs and glitches becomes its primary source of entertainment. State of Decay 2 confidently reaches the series' potential as the ultimate zombie survival sim, even if it hits a few familiar bumps in the road on the way there. State of Decay 2 implements some interesting mechanics but fails to engage with them in a meaningful way. For as much fun as I had with the game, I expected a bit more polish. If you can deal with a healthy dose of bugs, State of Decay 2 is an extremely satisfying and unpredictable management sim with a solid action-survival game laid on top. The sequel's improved UI, new multiplayer component, and additional maps help it stand out from its predecessor, even if the moment-to-moment is largely the same. There's still plenty of fun to be had in State of Decay 2, though, especially if you liked the original. State of Decay 2 aims to be better than its predecessor, and it is. However,characters´ modeling, bugs and poor optimization on PC are too much for this game. It is still an entertaining game, but its clearly unfinished. If you're looking for a compelling and atmospheric take on the zombie genre that's more Walking Dead than Left 4 Dead, State of Decay 2 is an imperfect but enjoyable sequel to the superior original. The gameplay loop of scavenging, crafting and killing can begin to wear thin, but the human element is capable of pulling you back in. Tackling the world with others in tow may decimate the game's carefully constructed atmosphere, but those multiplayer shenanigans will probably be wild enough to distract from the host of technical issues that simply refuse to die. 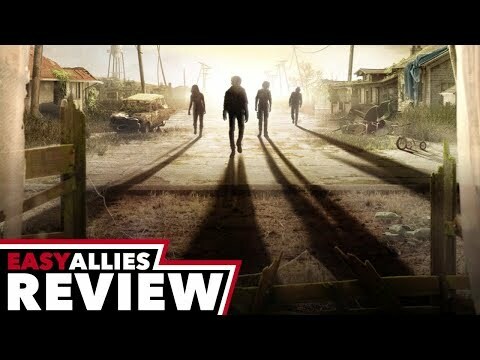 State of Decay 2 take the best things from the first game and power up the mechanics to create a very interesting survival and management game. It has some problems and the multiplayer is not what we expected, but it is surprisingly addictive and very attractive for lovers of zombies. State of Decay 2 is repetitive, but fun when it works. State of Decay 2 is one of the best survival and zombie games I have ever tried on the current generation of consoles. It is a game that offers an open world and gives you great freedom to do what you wish and create your base as you see fit. In repelling zombie hordes, is a great RPG game and worth trying of course compared to the price of only 30$. State of Decay 2 is a smart, messy idea without much of a game to go with it… again. Try it if you don't mind bugs or repetition too much. Deeper than the first instalment, State of Decay 2 improves several features and adds a deeper management system with an enormous map to explore and an interesting cooperative online system, even when still has several technical issues.